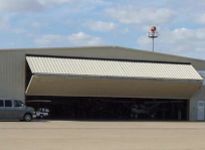 Aircraft hanger on leased land at Mesquite Municipal Airport 2009 for a FDIC lender. Property was being improved and updated by the current owner. Lender was providing financing based on value of completed building on a 20 year lease (ground lease).